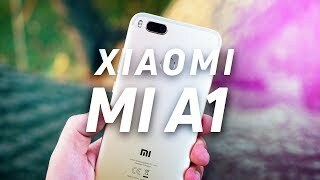 The highlight of the Xiaomi Mi A1 smartphone is its performance and camera which we are getting in the mid-range smartphone segment. This smartphone was launched in September 2017. The smartphone features 5.5-inch Full HD display and has a good display, it has 1920 x 1080 Pixels resolutions. It runs on latest Android Nougat 7.1.2 operating system with 4G VoLTE support out of the box. The device is powered by good 3080mah non-removable battery. The compact and high built quality display which sport a 5.5-inch screen with 2.5D Glass, and also features good configuration. Xiaomi Mi A1 is packed with a 12MP + 12MP rear camera and a 5MP front camera. In the box, you will get Handset, SIM Tray Remover Pin, USB Cable, Adapter, User Guide, and Warranty Card. It comes in 4 colors– Gold, Black, Rose, and Red and all 4 colors come in the same configuration of 4GB RAM and 64GB ROM. The Xiaomi Mi A1 has a dimension of 155.40 x 75.80 x 7.30 (mm) and weighs 168.00 grams. The device is a Dual Sim (GSM and GSM) phone which accepts Nano-SIM for both the slots and it is a hybrid SIM slot which is supported up to 128 GB memory. The smartphone does not have Corning Gorilla Glass protection but it does come with 2.5D Glass and Metal Body. The Xiaomi Mi A1 features a 5.5 inch Full HD IPS Display with the resolutions of 1920 x 1080 Pixels. 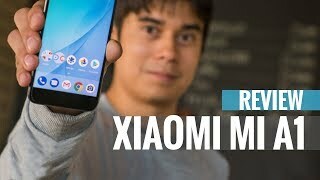 Xiaomi Mi A1 is powered by a Qualcomm Snapdragon 625 processor with 64 bit, comes in 4GB RAM and 64GB ROM combination; that provide seamlessly multitask performance. It is configured with 2GHz octa-core CPU and Adreno 506 GPU. The device runs on latest Android Nougat 7.1.2 operating system. The Xiaomi Mi A1 is powered by a large 3080mah non-removable battery that should easily run throughout the day with all your multitasking activity. Xiaomi Mi A1 supports 4G networks with 4G LTE with VoLTE out of the box. It includes connectivity options such as Dual Sim (4G VOLTE), Wi-Fi 802.11 b/g/n, hotspot, Bluetooth 4.2, microSD, and USB Type C. The device has a fingerprint sensor on the back panel. Most of the major sensors are available in the device such as the Gyroscope, Ambient Light Sensor, E-compass, Proximity Sensor, Accelerometer, Hall Sensor. Xiaomi Mi A1 is a good camera phone knowing that it belongs to mid-range phone category. The device sport a dual 12MP + 12MP Rear Camera with the large aperture (f/2.2) with 1.25 microns Pixel Size and 8MP Front Camera with f/2.0 Aperture with a pixel size of 1.12 microns. The rear camera also supports PDAF and 2X Optical Zoom features which help to take a clear picture. The front camera also comes with a couple of features but it is not as good as compared to other midrange smartphones available in the market right now. The lowest price of Mi A1 (Red, 64 GB)(4 GB RAM) was obtained on March 3, 2019 8:23 pm. Redmi Note 5 Pro vs Mi A1: Which is a better midrange Xiaomi?